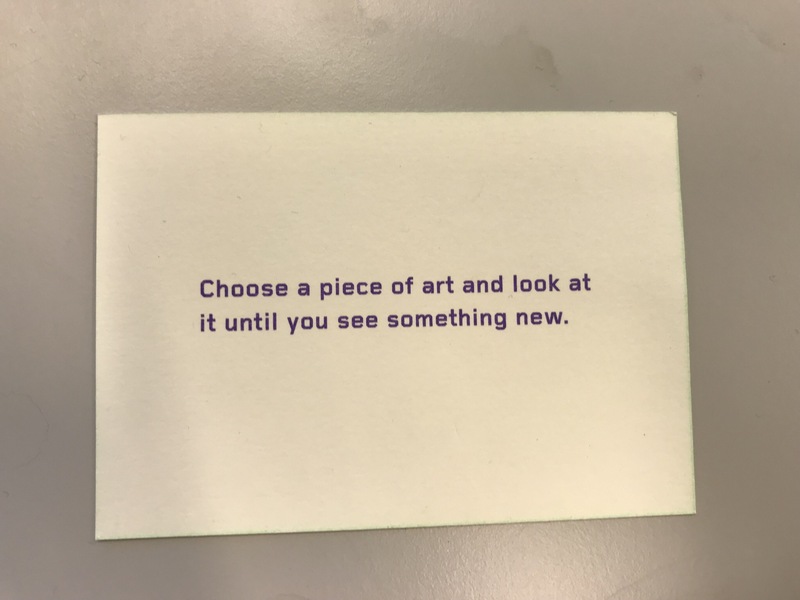 This exercise is from a deck of about 60 cards made by the “Moderna Museet” and Magda Lipka Falck in Stockholm. It proposes different ways to observe art and the instructions on the card is as follow 1. Take a card. 2. Follow the instruction. 3. What happens? 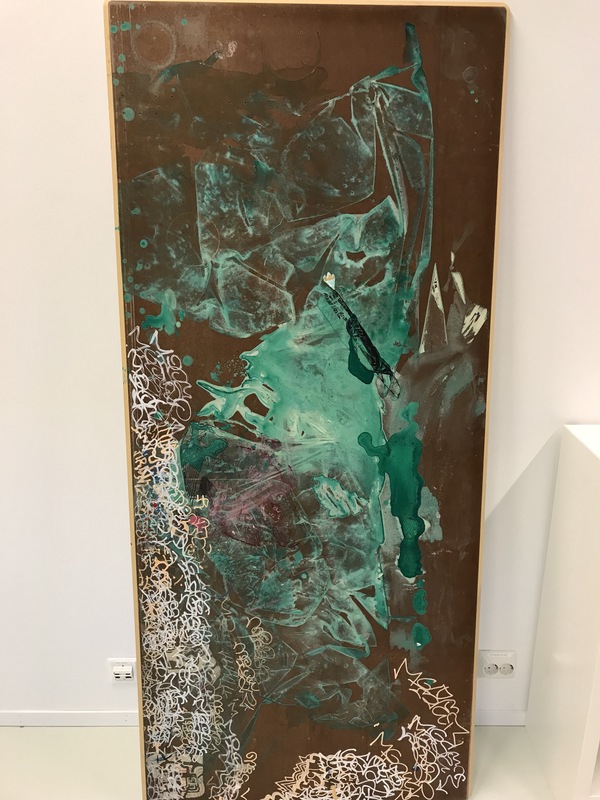 This piece of art is actually a table board used by earlier art students and it has been standing in my work room for some time. The more I observe, the more it looks like art. The colours, the texture. I get relaxed by it.